It can be a challenge to report on new components that are raced in the public but are actively shielded from close-up inspection. At Interbike we got heads up that Powers and Wout van Aert might be riding something special this season. Of course, despite receiving the direct tip that would likely result in some pre-launch press, we couldn’t get any details on what it might be. Even armed with this knowledge, official requests to photograph the bikes in question were quickly denied by teams. It’s an awkward situation for journalists. Chasing good photos and counting cogs and teeth when riders and mechanics are advised to try to keep the parts hidden is a funny dance. We tried it at four different races, and here’s the result. 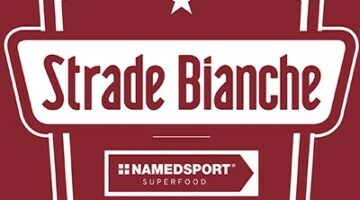 It didn’t take a crystal ball to predict that the “something special” would be an extra cog and one less chain ring for the two cyclocross eTAP racers. 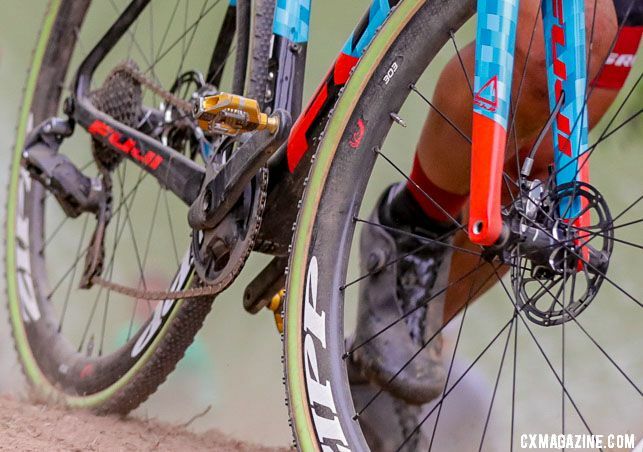 While most of the pro cyclocross peloton has been one with SRAM Force and its 1x clutch-derailleur drivetrain, Powers and Van Aert have been famously dedicated to the dark side of 2x through their SRAM Red eTAP systems. 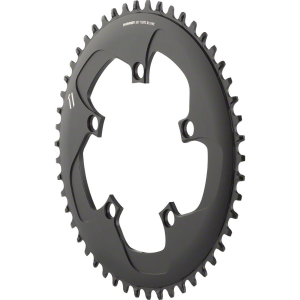 Yet with a few notable chain drops and SRAM’s mountain groups and competitors moving to 12-speeds, “another year, another gear” would be a good guess. 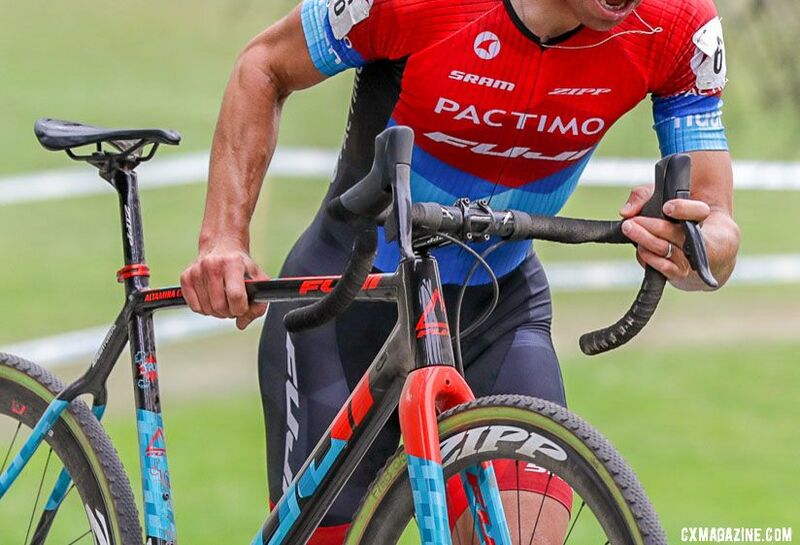 Armed with this info, we searched through images of Jeremy Powers making his debut for Fuji/Pactimo/SRAM at Rochester Cyclocross and indeed confirmed that in early September, the four-time National Champion was testing a 1x eTAP drivetrain on his way to seventh and second places. 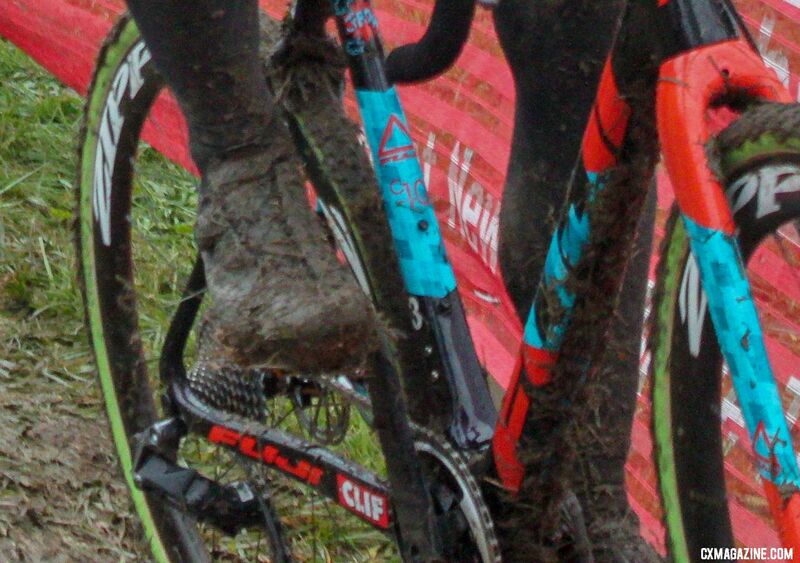 We packed our cameras for World Cup Waterloo and Jingle Cross hoping to get an up-close look. As you might already know, Powers suffered from a throat infection that derailed his early season, and Van Aert had last-minute team, bike and sponsor swaps that threw a wrench in his setup. 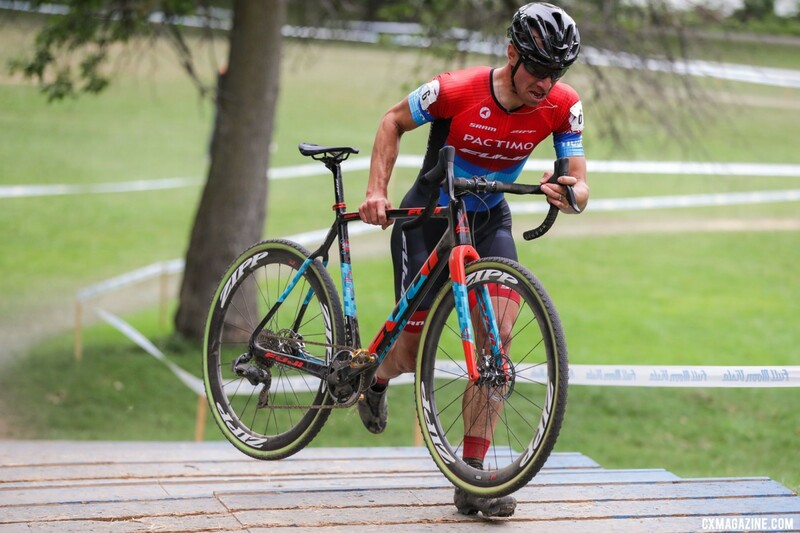 He showed up to Waterloo with SRAM Red eTAP 2x on his Stevens Superprestige, as we profiled from the race. Powers made his return and took in Day 1 of Cincinnati piloting the 1x prototype system to 29th place, giving Brandon Grant a blurry, muddy glimpse of the drivetrain in action. 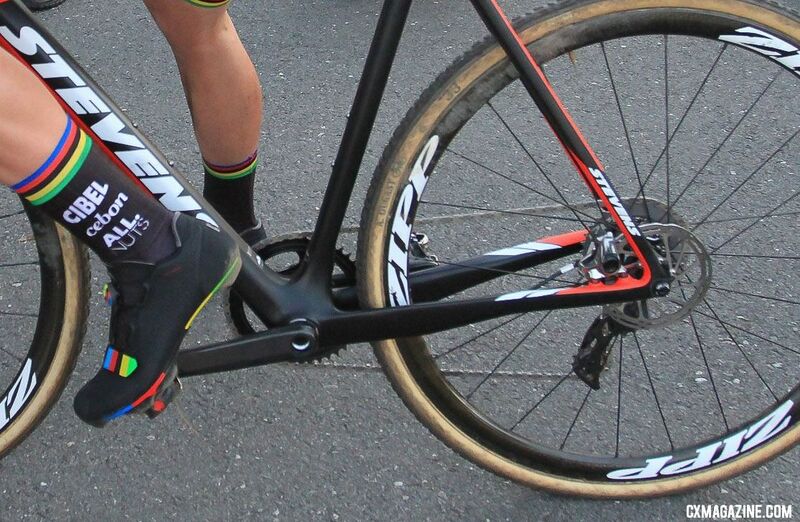 At the picturesque, historic Superprestige Gavere, we spied the SRAM eTAP 1x drivetrain on one of Van Aert’s bikes. The team mechanics and a SRAM representative were busy making adjustments on the bike while we photographed the steed at full zoom. As expected, when we approached to ask for a better look, they declined and put it away. When we approached the team to photograph Van Aert 1x bike, they declined, but in doing so, confirmed the extra cog we were predicting but weren’t close enough to validate. “You can photograph his 11-speed bike,” they said. 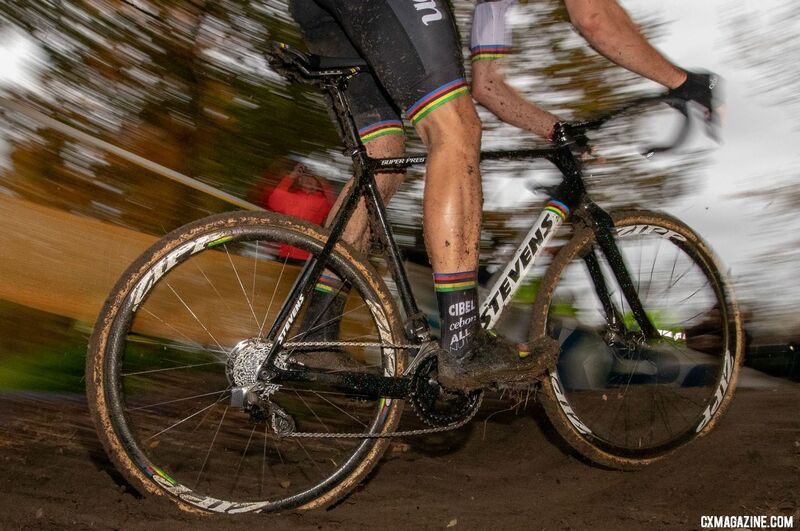 We had our cameras ready to get a closer look at what the World Champ would be riding during the race, but on the hilly, muddy Gavere course, Van Aert opted to race his 2x drivetrain bikes on his way to third place. On a course with a lot of vertical change that demanded frequent shifts and frequent bike changes, we’re guessing that the smaller gaps between the cogs—or having three or more identical bikes available—swayed his decision to stick with the double. 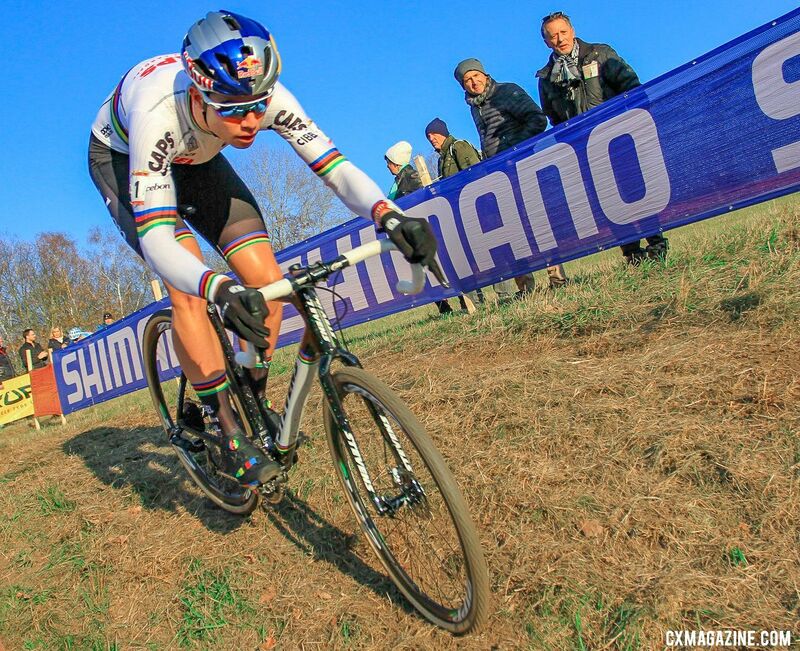 Six days later, on a dry, fast and flatter World Cup course in Tabor, we finally saw Van Aert complete a race on the eTAP 1x drivetrain. The components appear identical to what we saw on Powers’ bike in September. 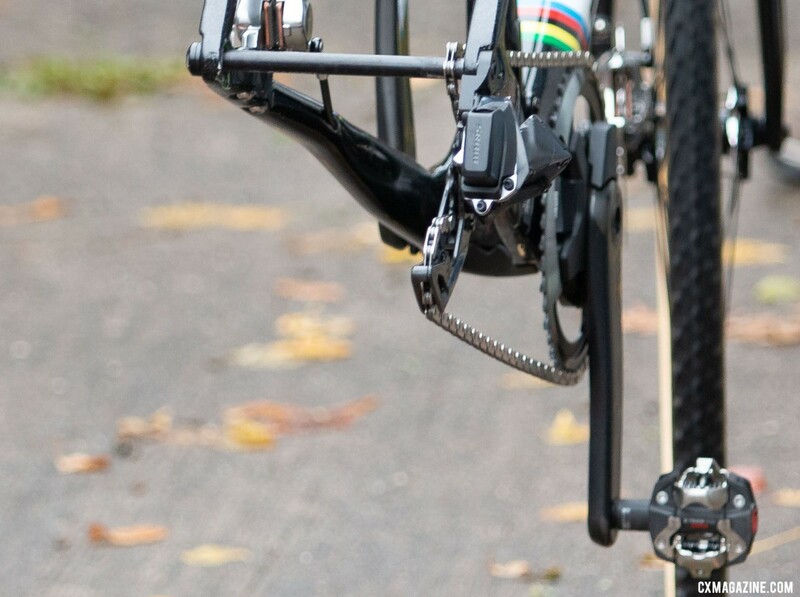 Beyond one extra cog and a missing front derailleur, what’s different? Without official details, of course anything we write is just a supposition or educated guess, and if you want to take issue on the “educated,” fair enough. 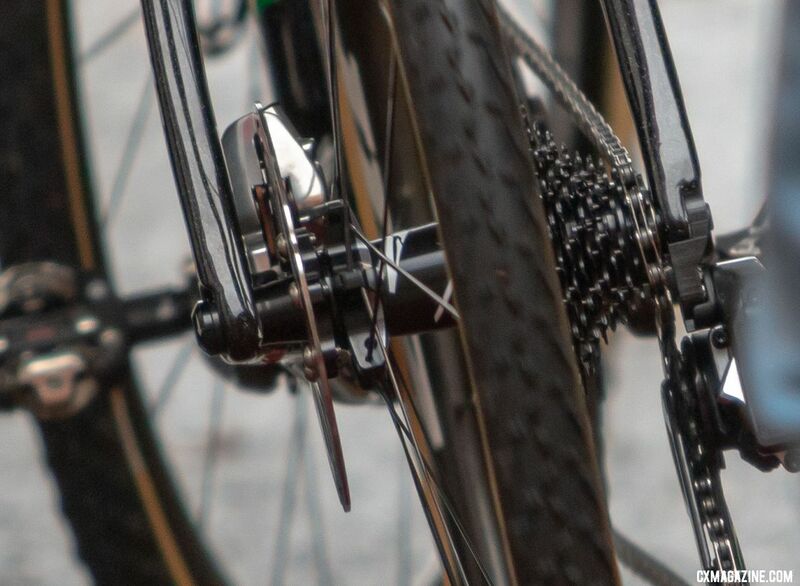 The cassette, beyond adding an extra cog, moves to SRAM’s XDR configuration with a 1.85mm-wider freehub than the mountain XD format (the mountain cassettes’ largest cogs overhang the drive side hub flange). Its tallest gear relies on a tiny 10-tooth cog and looks to feature an alloy largest cog for weight savings. 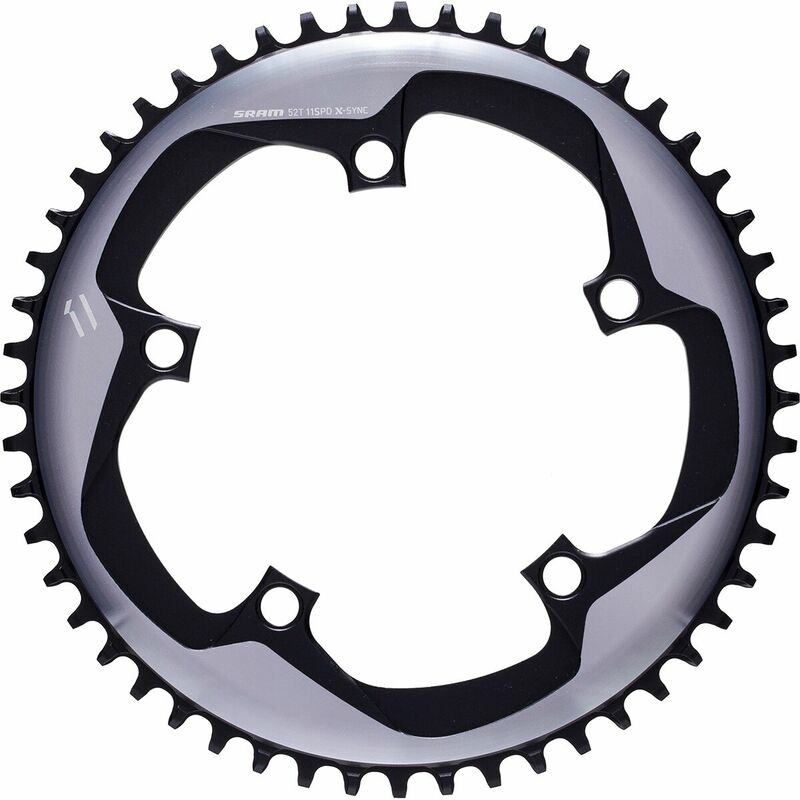 Our calibrated eyes reveal a 10-36t wide-range cassette, but it wouldn’t be a stretch to guess there will be multiple front and rear gearing options. In fact, Kei Tsuji already has seen a 10-28 cassette in action in Japan and photographed the parts. Road-centric websites lined up and tap danced to get rights to Tsuji’s eTAP photos, and the speculation began. 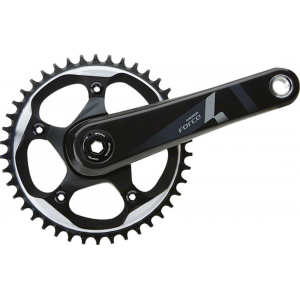 It’s worth noting that while an XD/XDR cassette tighter than 10-42t or 11-42t from SRAM is long-awaited news, especially since the XDR spec has been out for several years, there are other similar gearing options out there for consumers, minus one cog. As we saw at Interbike, Leonardi Factory offers its 9-36t, and 3T unveiled its hard-to-find Bailout and Overdrive 9-32t XDR cassettes. 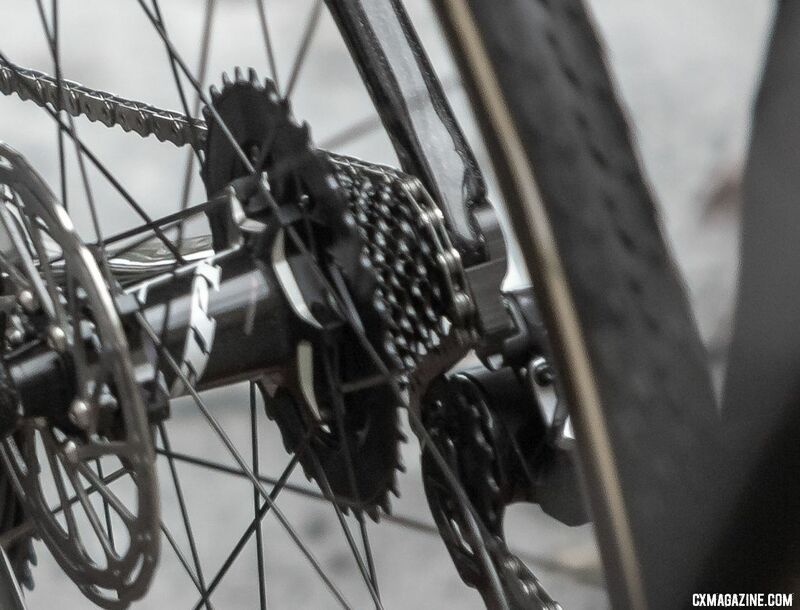 Beyond XDR cassettes, the drivetrain adopts some other notable changes. The chain is asymmetrical, flat on the outer plates and sculpted on the inner plates to better grab the shift ramps.  No, we can’t see the outer plates very well in our photos, but in Tsuji’s you can. The shifters also look to have a slightly tweaked shape compared to the current eTAP. The tops of the hoods appear to be a bit flatter and less pointy up front, but frankly, it’s hard to tell. 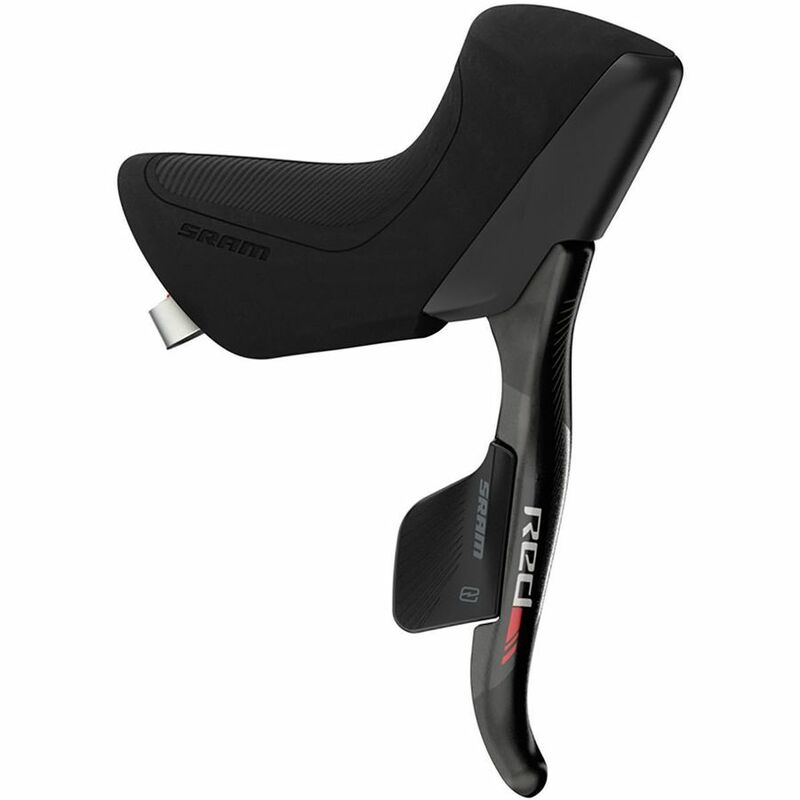 SRAM’s 11-speed eTAP HRD levers. 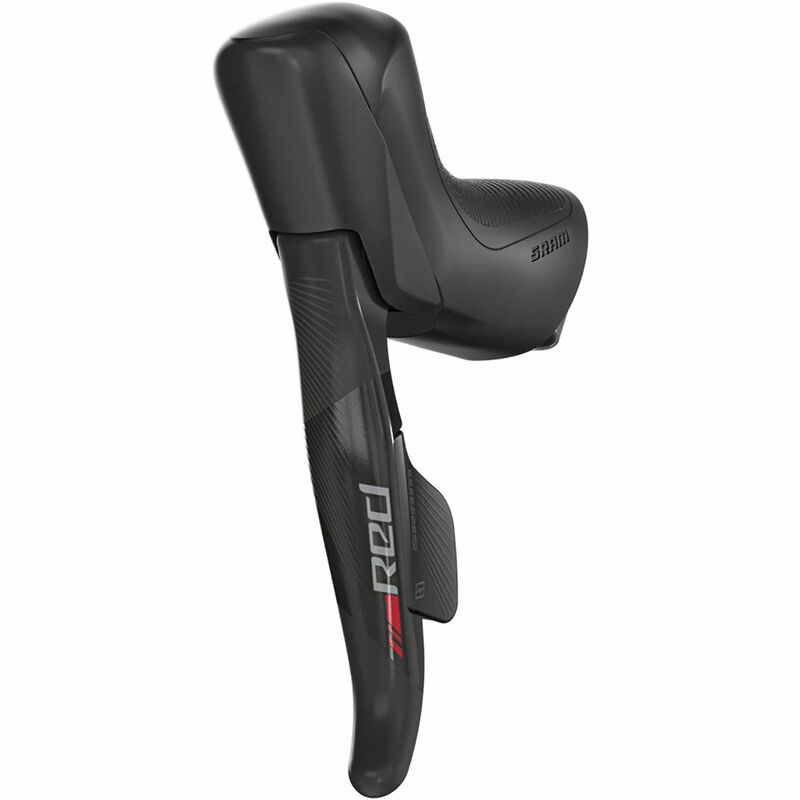 Perhaps there’s now a bigger shift paddle and some texture to the brake lever, but any more details and we’d be pulling your lever and chain. 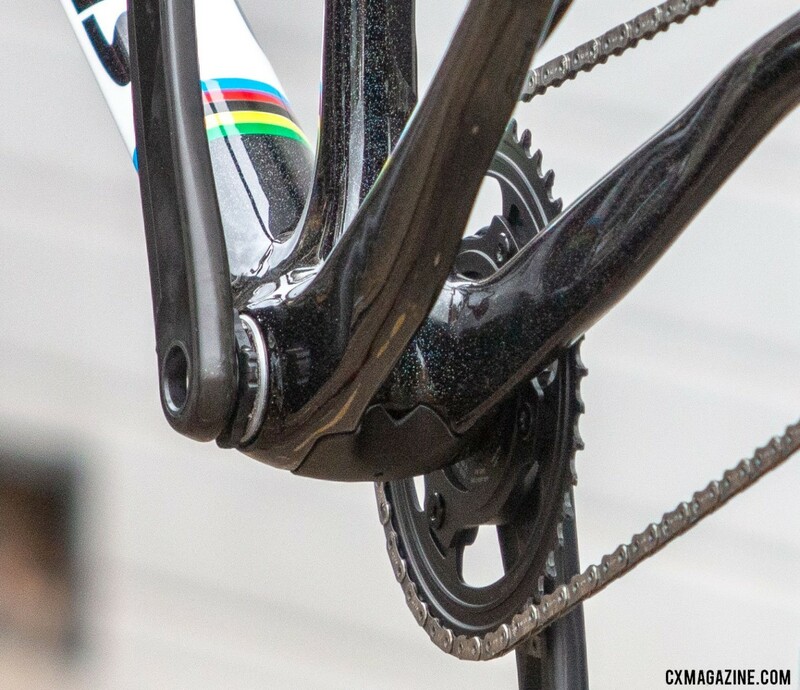 Powers and Van Aert’s carbon crankarms look like they could use direct mount rings and clearly feature a Quarq power meter, but rely on a four-arm spider to connect to an X-Sync wide/narrow chainring. Direct mount wide/narrow rings that offer proper chainline should be in the works, but for now, the hybrid approach will have to do. It wouldn’t be stretch to guess the system adopts SRAM’s new DUB bottom bracket and 28.99mm crankset axle “standard,” but we’d be lying if we said that’s exactly what we see in the photos. However, SRAM is all in with DUB. Throw out your GXP and 30mm cranks. There’s now something in between. 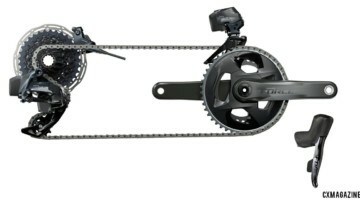 While World Champs already race 1x electronic drivetrains without clutch rear derailleurs, it would be a chain slap in the face for SRAM to avoid paying attention to chain tension. After all, Shimano-sponsored athletes like Katerina Nash have piloted electronic clutch-based 1x systems for years now, and Kona’s Kerry Werner has taken Shimano’s gravel push into the mud with its RX-805 Ultegra mech. 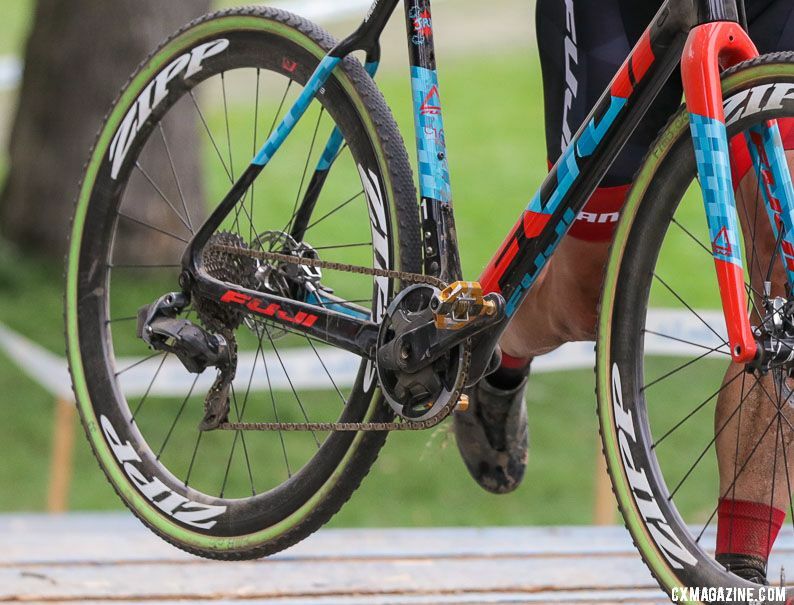 The rear derailleur used by Powers and Van Aert does not have SRAM’s telltale “Roller Bearing Clutch” or “Type 2.1” labels as found on the SRAM Force 1 changer, but remember they’re riding prototypes. While a conservative guess might be that the rear derailleur will employ a Type 3 (Type 3.1, Type 4?) or similar mechanical roller bearing clutch, wouldn’t it be neat to take advantage of the built-in battery and electronics to have a smart electronic tensioner? One day, if not in time for this product release, it should be possible to employ accelerometers or smart switches that add tension when it’s bumpy or when you’re not shifting and turn it off when unnecessary. Such sophistication might even extend battery life by allowing the servos to change gears without fighting the tensioner. 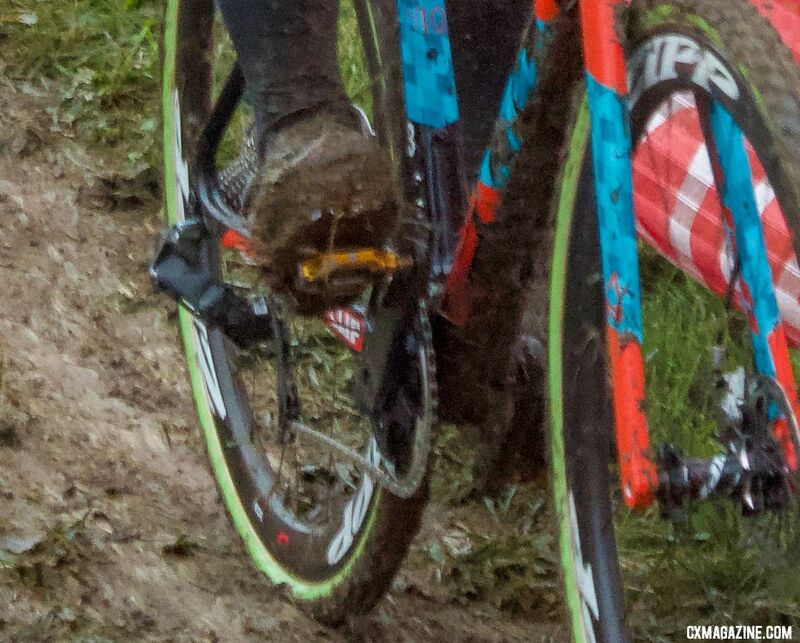 Looking at Powers and Van Aert’s rear eTAP derailleur, we honestly can’t tell what type of knuckle it is, but except that it doesn’t look brass or bloody. 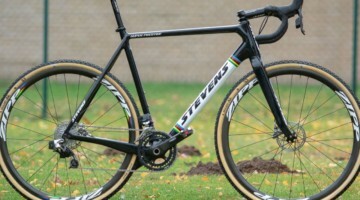 If a World Champion is racing a prototype at high-stakes World Cups, it’s a safe bet that the component isn’t too far from production and has likely passed some stealth Chicago cyclocross testing. 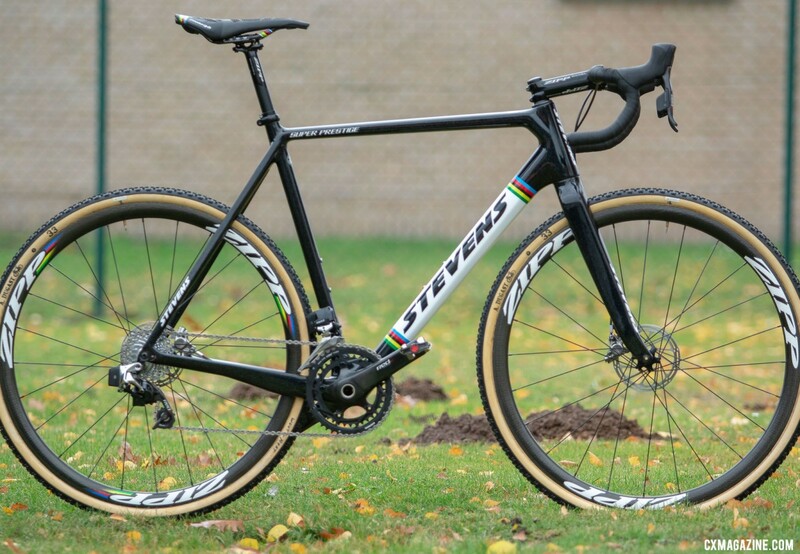 Might Van Aert rely on the new drivetrain to defend his World Championship title and kick off the official launch?